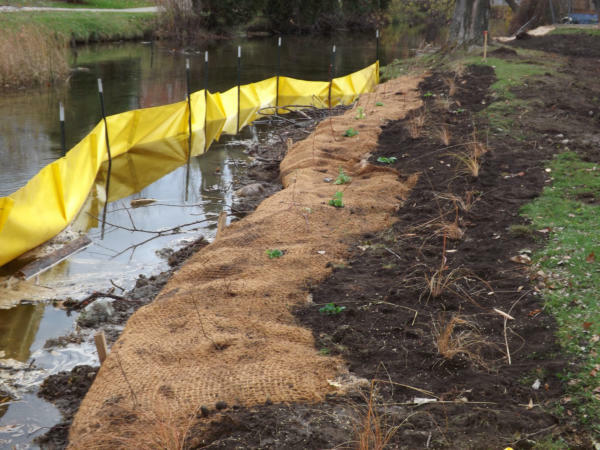 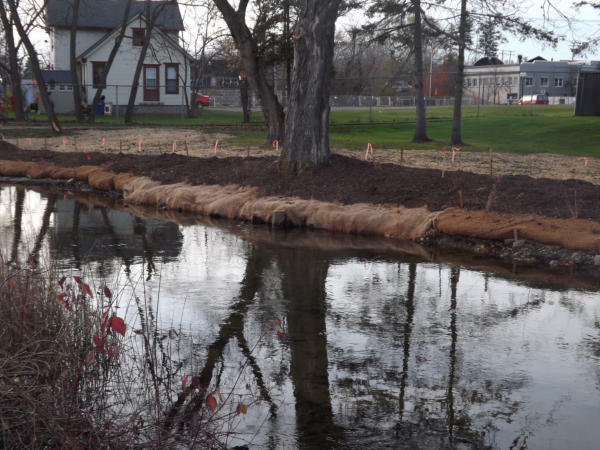 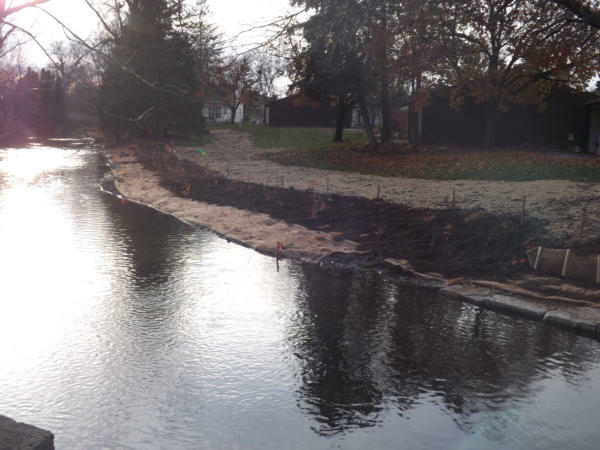 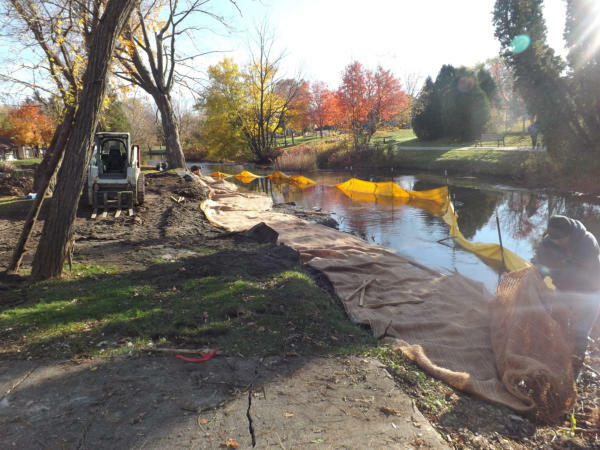 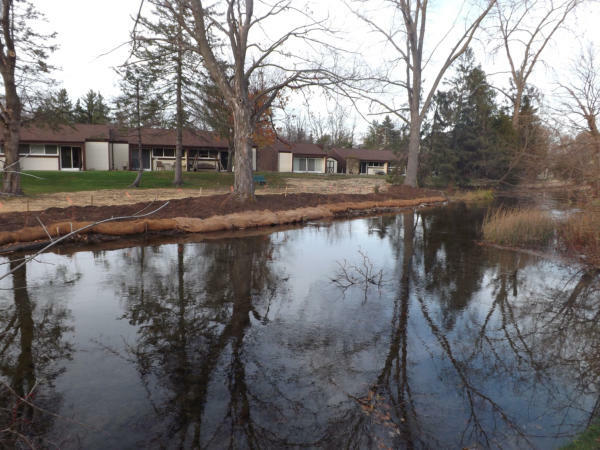 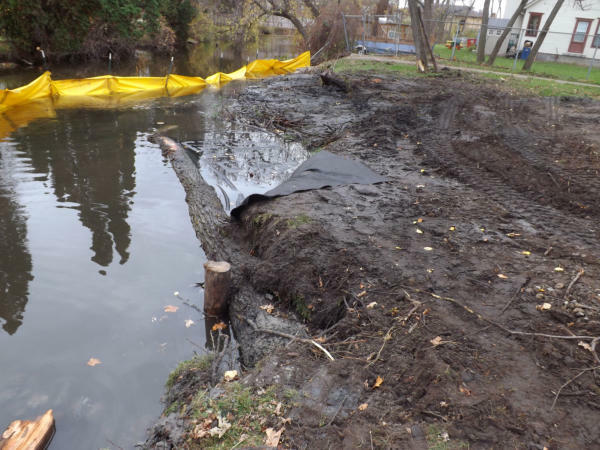 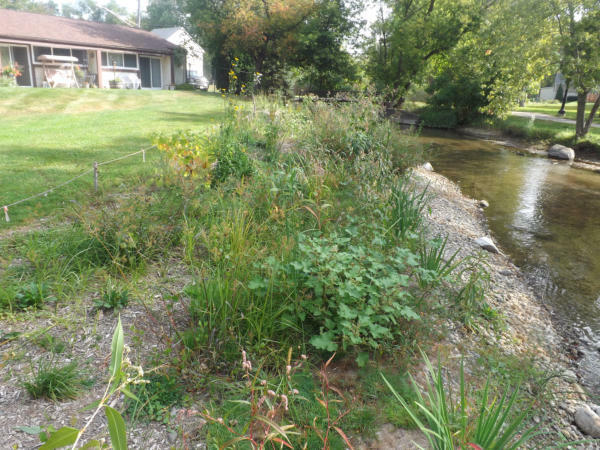 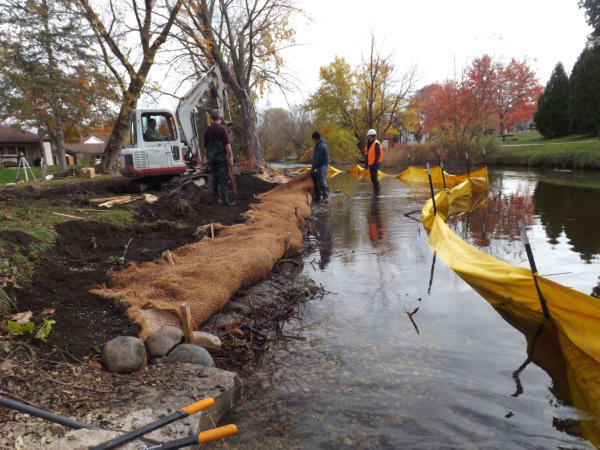 Paint Creek Project 2014- Shoreline Restoration This project involved the restoration and erosion control of approximately 500’ along Paint Creek in downtown Lake Orion across from Meeks Park. 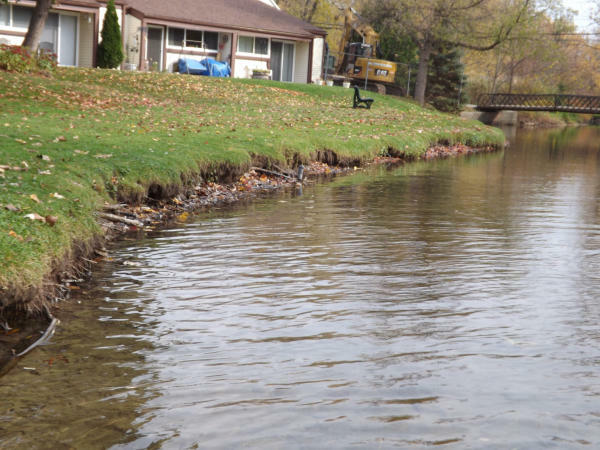 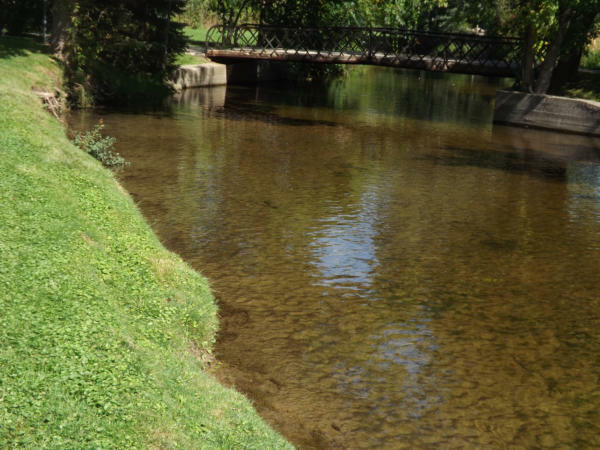 The creek shoreline had eroded away as much of 10’ of its bank in different areas. 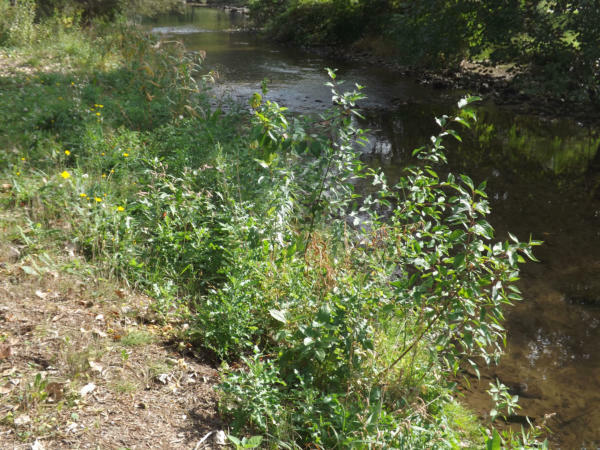 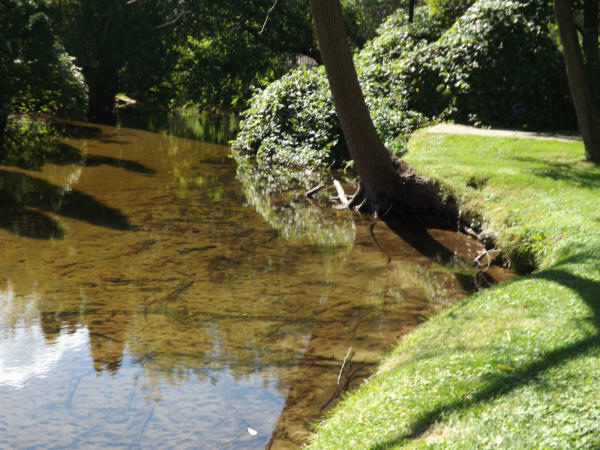 The habitat and flow of the creek was being marginalized because of lack of riparian buffer plantings and toe protection. 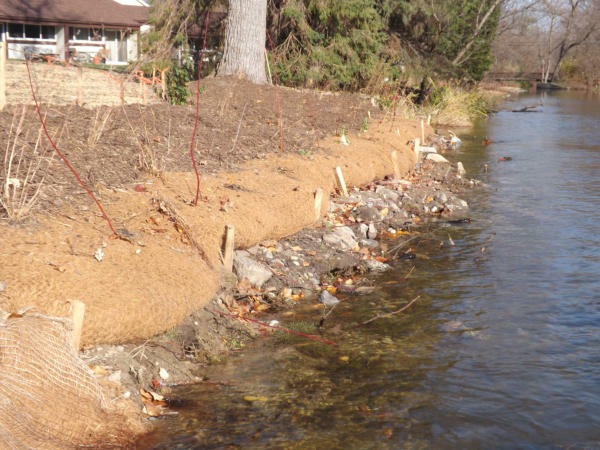 A number of techniques were employed to improve the north shore of the creek. 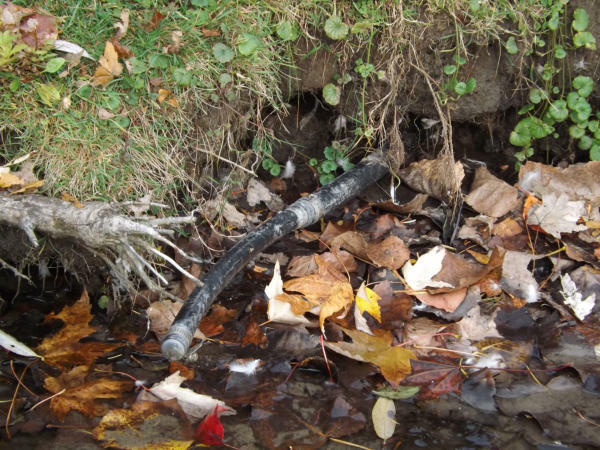 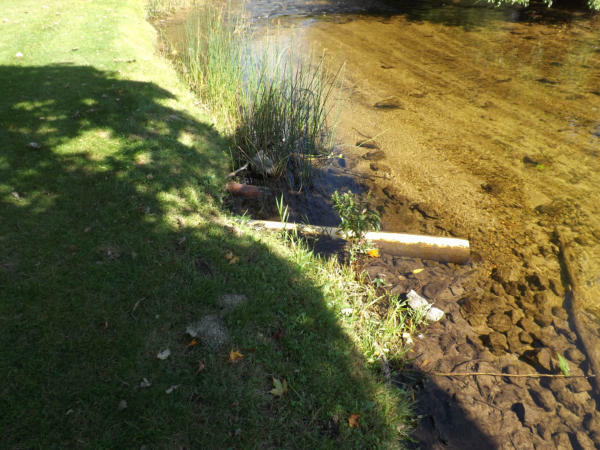 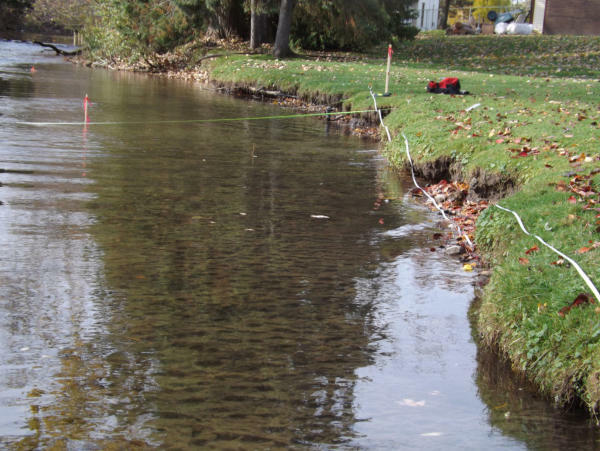 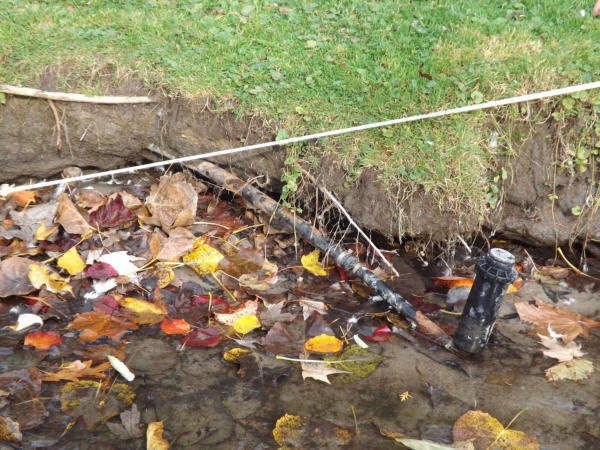 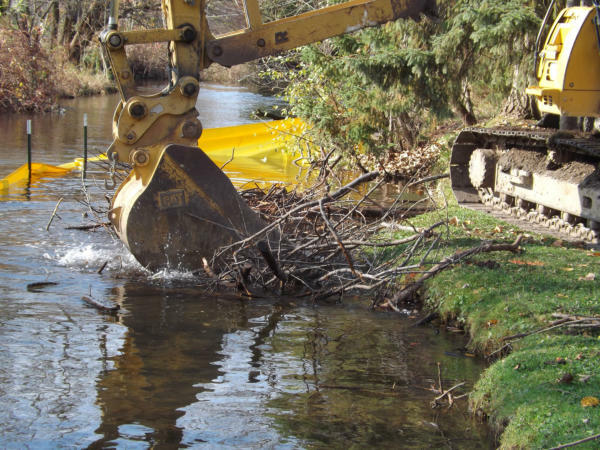 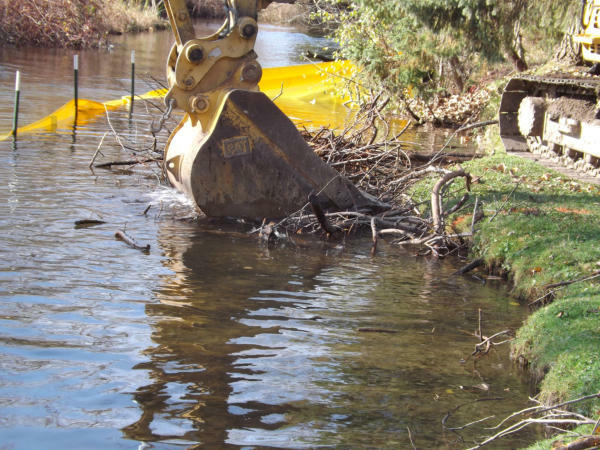 A tree vane was installed upstream and a flat stone vane was installed downstream to help direct flow and collect sedimentation. 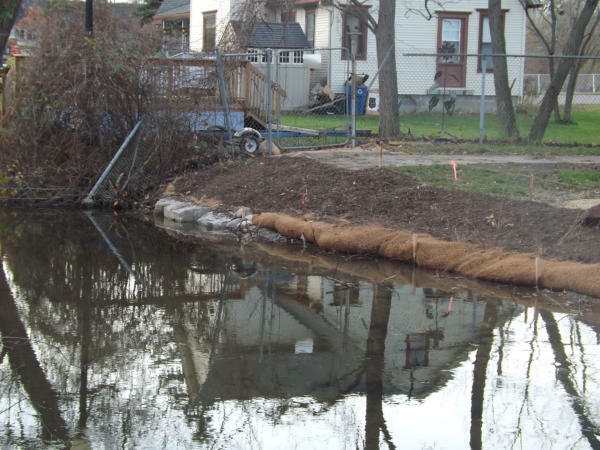 Several soil lifts were installed and hundreds of shrubs and herbaceous plants were used. 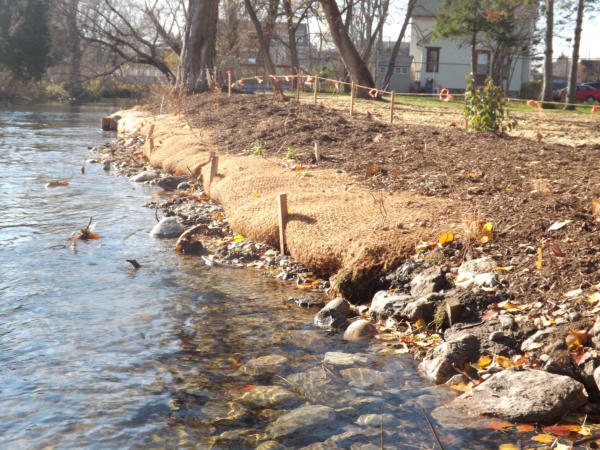 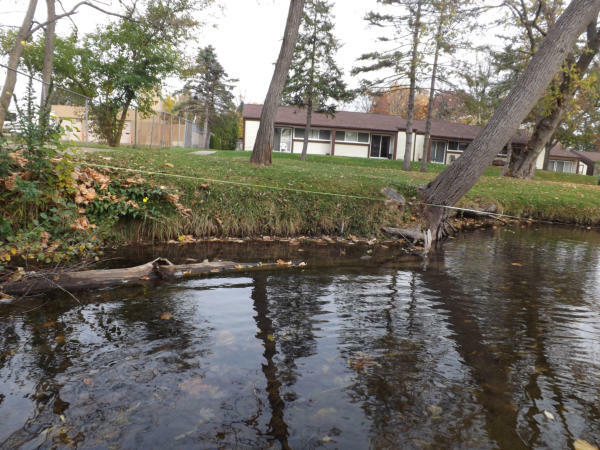 Repurposed trees and branches were used to re-establish the shoreline and reshape the flow of the creek. 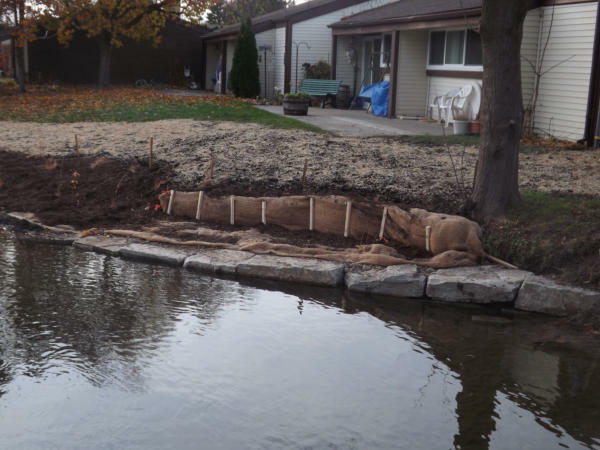 Riprap was installed as needed to protect toe erosion. 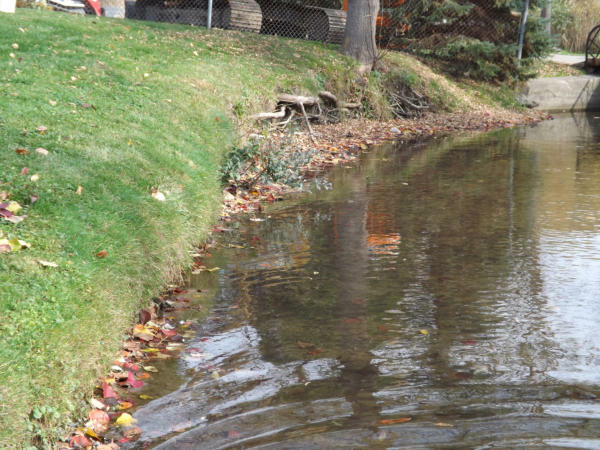 Habitat such as riffles, pools, & lunkers were created as well.